You Don’t Need an iPad to Read JPEN and NCP on the Go! JPEN looks great on the go on any device! 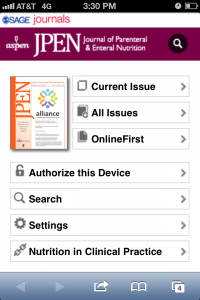 Did you know that SAGE, A.S.P.E.N.’s publishing partner for the Journal of Parenteral and Enteral Nutrition (JPEN) and Nutrition in Clinical Practice (NCP), offers mobile optimized journal content for all on-the-go readers? All A.S.P.E.N. 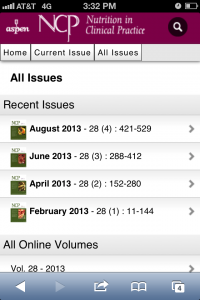 members with an Internet-ready mobile device can read JPEN and NCP anywhere they have service. Just point your browser to www.pen.sagepub.com or www.ncp.sagepub.com for JPEN and NCP, respectively. You get the same content, including every article ever published in the A.S.P.E.N. 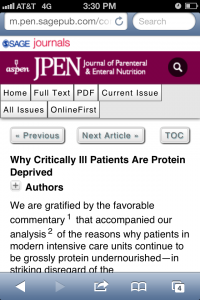 journals, directly on your device, optimized for smaller-screen reading. Content automatically adjusts to the size of your screen! You can even see what’s OnlineFirst through SAGE Journals and read the latest and most cutting-edge research in clinical nutrition before it goes to print! The new JPEN and NCP apps have been released for iPads and iPhones, and we’re working on possible development of apps for Droids and Windows phones. Stay tuned for any future announcements on this front. See below for pictures of what the content looks like on an iPhone, but rest assured, articles will look just as great on any other mobile device! 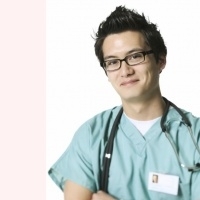 For help logging in for online journal access, contact A.S.P.E.N.’s Customer Service line at 800-727-4567. 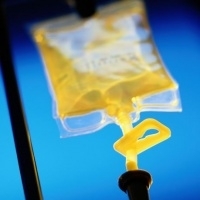 We’re happy to help you find the best and latest articles related to parenteral and enteral nutrition and clinical nutrition and metabolism.